Home > Blog > Two walks today…. First walk of the day was with Holly & Ivy, Boris, Gigha & Cara and Marshall. 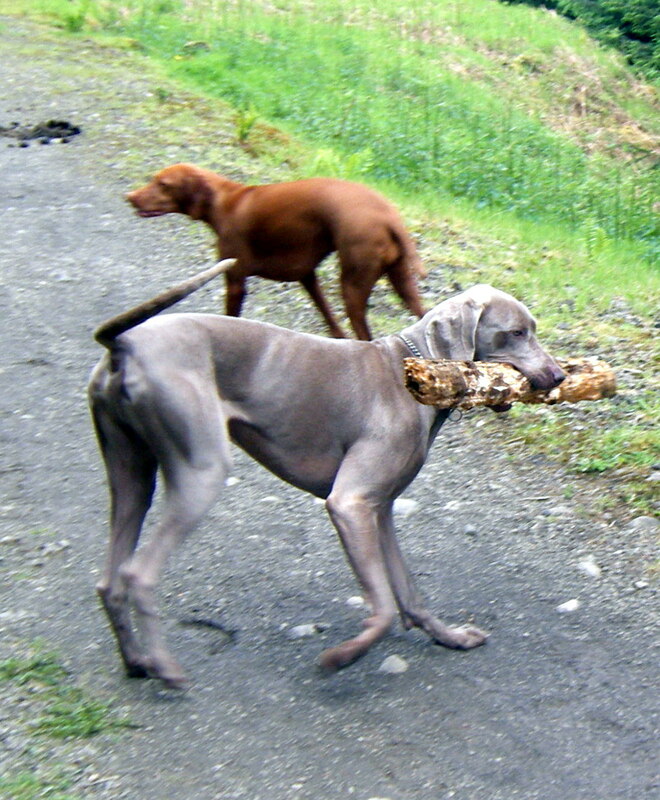 Marshall found a huge stick which he then carried for about half an hour – he will be a tired boy tonight! Second walk was with Holly & Ivy, Laddie & Meg and Zola. Both walks I took the dogs to Deil’s Crag Dam on Dumbrock Moor, so that they could go for a swim and cool down – Laddie in particular LOVES it – I swear that boy could swim for hours. Zola had a great walk again, she has made so much progress in such a short space of time….what a clever girl!